A Windows Server operating system is required for any installation of the application launcher. The solution is fully supported on a physical server or a virtual machine, regardless of the virtual host platform. All service pack levels and editions of the supported operating systems are supported, except where specifically noted. BeyondTrust recommends using the most current version of Windows Server. High availability should be employed whenever possible. All components of Privileged Identity support a high availability configuration. A Windows Server operating system is required for any installation of the session recording component. The solution is fully supported on a physical server or a virtual machine, regardless of the virtual host platform. All service pack levels and editions are of supported operating systems are supported, except where specifically noted. BeyondTrust recommends using the most current version of Windows Server. The following requirements are for launching applications on a bastion host. 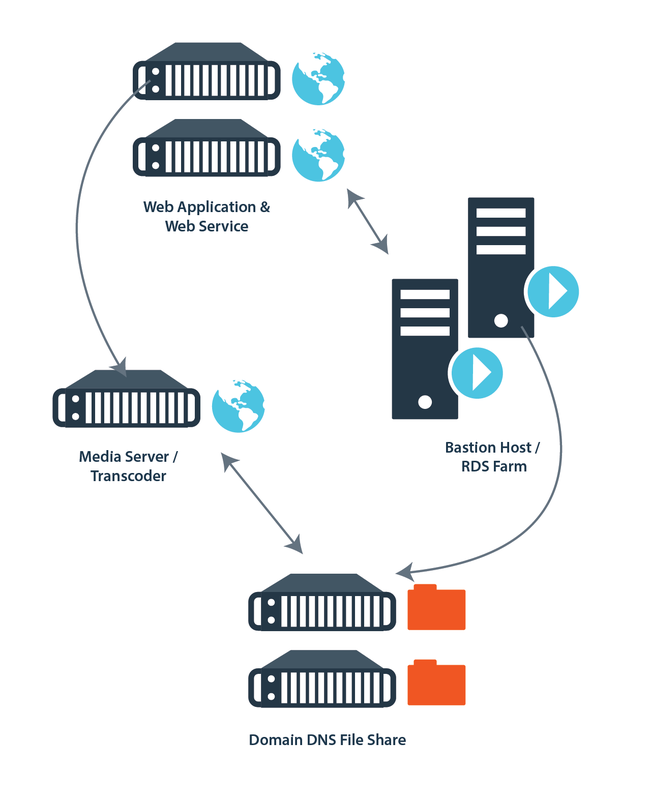 The bastion host can function as the video transcoder and media server; however, this will impact the performance of the host during video transcoding. For more information about RDS sizing, please see the Microsoft Help Center. The amount of free disk space required depends on the number of recordings being stored. In the diagram shown, an Active Directory-based Distributed File System (DFS) is depicted as the storage for raw and converted session recording files. DFS is not a requirement, but it is recommended in order to add online redundancy for the storage of the recorded sessions. In this scenario, the bastion host records raw sessions and copies them to the DFS share. The media server transcodes the files from the DFS share, writes the converted files back to the DFS share, and deletes the original raw files. If a DFS share is not used, the bastion host moves the raw files to the media server, performs video transcoding services, and stores the files locally. In either case, the media server provides access to the recorded sessions via IIS and Microsoft Media Services.